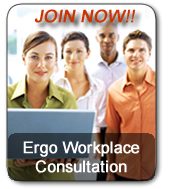 Regent Ergonomic Consulting has been serving the Hong Kong community since 2004. We specialize in ergonomic evaluation and injury prevention services, and our staff offers successful proactive ergonomic programs for the office workplace. Our ergonomic assessments are conducted by registered healthcare professionals with solid orthopaedic and neurological backgrounds. These methods make REC a leader in the successful application of ergonomics to law firms, investment banks, and manufacture industries. Ergonomics is concerned with the relationship between people, the tasks, the undertaking, the equipment used, and the environment in which they work. The United States loses over $130 billion each year in worker's compensation claims for work-related musculoskeletal disorders such as low-back strain, carpal tunnel syndrome, and tendinitis workstation. REC will assist HRs generating datas what on the actual money and sick leave they reduce though out the program.